On 10/22/68 KC-135A #61-301A out of Westover crashed on approach to CCK AFB,Taiwan, apparently from either pilot error or mechanical problems I am very interested in any details that may be available, as two members of my squadron (99th OMS) as well as the flight crew were killed. I was aboard acft #498 that landed minutes earlier, and have always wondered about the accident and the accident report. Thanx. 747 Tanker. I had the pleasure of working with Mr. Vic Ellis, retired CMSgt. He was the lead boom operator in the Iranian Tanker program. 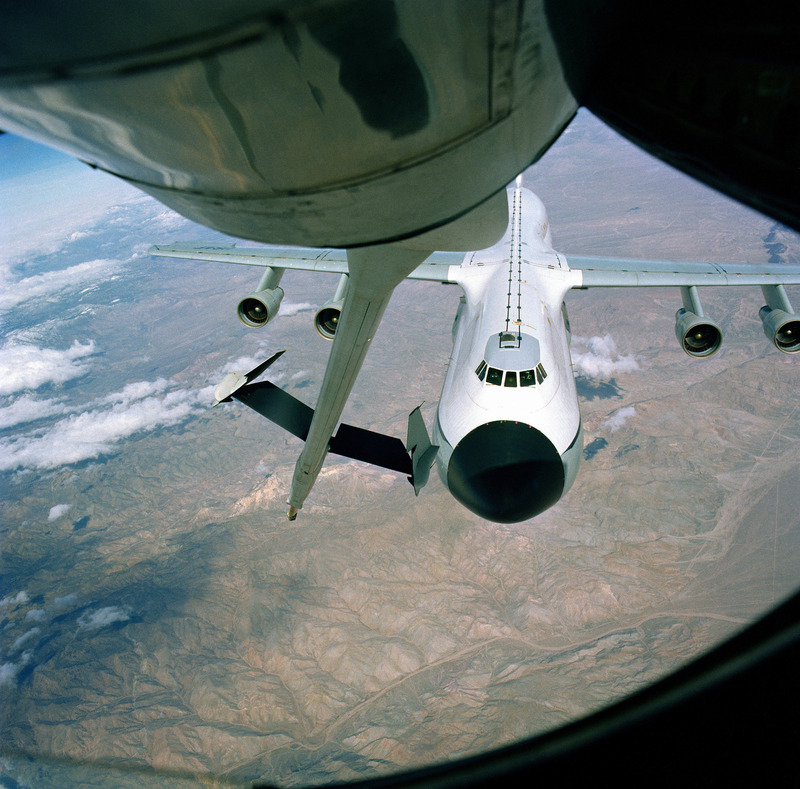 I have no pictures, but Vic told me the pod in the Iranian 747 was the same/similar as the KC135. Same boom as well. It’s hard to be sure, but the picture looks like a KC 135 boom. You are correct, it is as close to a KC135 pod and boom as it gets. Vic definitly felt at home in this air frame, those were the days.. This photo is one of several tests of the prototype. It was tested on various receiver aircraft. It was based on the KC-135 boom. 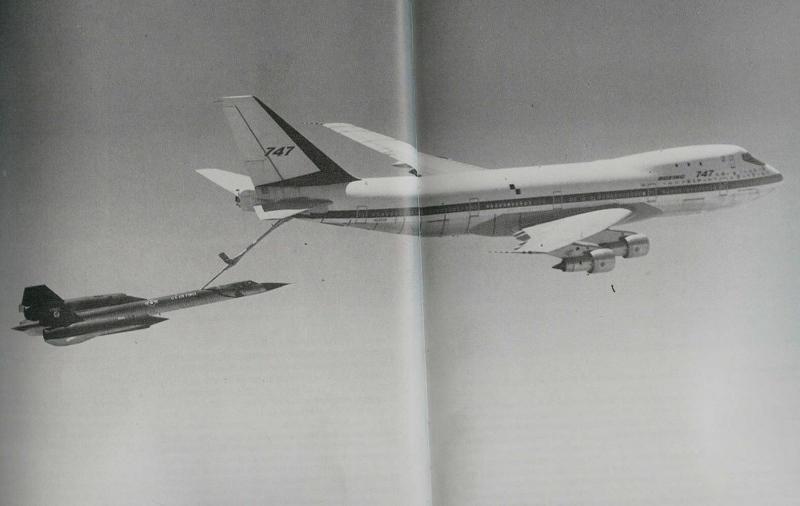 I would not think that any actual refueling was taking place. The reason I say that is because the SR-71 used a unique fuel and had to have it own fleet of committed refuelers. Just a quess.